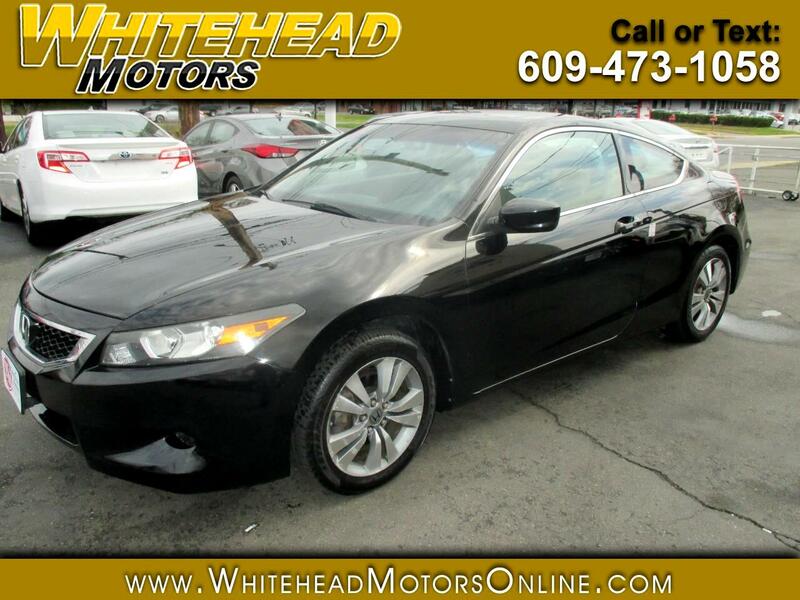 Spacious, comfortable, reliable and ready to please, our Accident Free 2009 Honda Accord EX-L Coupe in Crystal Black Pearl is an excellent choice for you! Powered by a 2.4 Liter 4 Cylinder that offers 190hp while paired with a smooth-shifting 5 Speed Automatic transmission. This Front Wheel Drive Coupe delivers nearly 30mpg highway with ultra-low emissions and strikes a perfect balance between ride and handling! Our EX-L Coupe looks beautiful with its sunroof and unique alloy wheels. Open the door to our EX-L cabin and you will find amenities such as keyless entry, heated leather front seats, dual-zone automatic climate control, a power driver seat, and a premium audio system with an in-dash 6CD changer and available SiriusXM radio to keep you entertained throughout your day. Honda cares about the safety of you and your passengers and includes ABS, daytime running lights, airbags, and more to keep you protected. This Honda Accord delivers high levels of quality and performance and ranks at the top of class among the competition. So - Print this page and call us Now... We Know You Will Enjoy Your Test Drive Towards Ownership! Get Approved In Minutes at Whitehead Motors. We Make Car Buying Easy.